Looking for a simple idea to add a little romance to dinner for Valentine's Day? 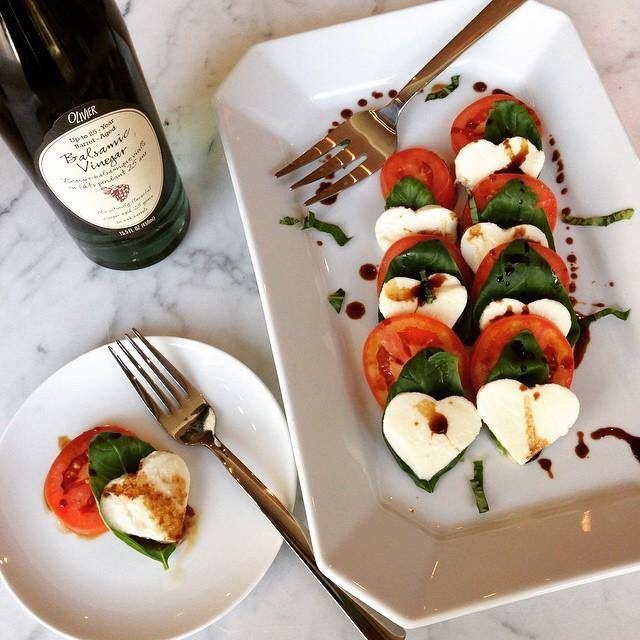 For a simple variation to a delicious Caprese Salad, use a heart-shape cookie cutter to cutout hearts from slices of mozzarella cheese to add a little romance to your Valentine's Day dinner! Sprinkle with Balsamic Vinegar, or for a delicious twist try my Pesto Vinaigrette.